Over the last decade or so, there’s been a ton of buzz about gluten. Someone you know surely has some kind of gluten-intolerant family member or friend. In a way, it almost seems like the healthcare industries are obsessed with gluten – but guess what? Gluten’s not really the issue. You see, most folks who think they’re just gluten-intolerant might actually be lectin intolerant. Because gluten is a lectin, but it’s just one of the many different kinds of wheat. Who is Actually Sensitive to Lectins? The easy definition of lectins is that they’re plant proteins found in all different kinds of vegetables, and they’re a plant’s biggest defense against hungry animals and humans. And, while they’re not all toxic, many are. 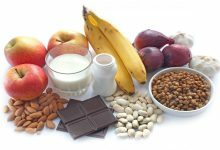 So, you don’t want to consume these plant proteins, especially if you’re lectin intolerant – because you might suffer severe reactions. Turns out, plants are pretty smart. They know if you eat something that makes you sick, the likelihood is you’ll stay away from it the next time you want to eat. So, by forcing you to consume harmful lectins, the plant has protected itself. Now, lectins can cause some seriously painful physical responses and discomfort. Now, lectins are proteins that help a plant protect itself. But, what are they, really? A lectin is a protein (susceptible to various diseases, bacteria, and viruses) that forces carbs to clump together and attach to various types of cells in your body when you eat them. Whenever you eat a seed, a certain kind of grain, or even the skin of a fruit or vegetable, the lectins inside it scout out the sugars in your body. They look for the ones they can latch onto most easily. Another negative effect of lectins is their ability to connect bacteria and viruses to the most vulnerable cells in your body – the cells bacteria and viruses are most in search of. Turns out, some folks who have a lectin sensitivity could get ill more than those without a sensitivity. Also, lectins could cause weight gain. Of course, that may have worked when people wanted to gain weight for the winter. In fact, did you know people used to want to have a big belly? It was a sign of wealth and prestige. And they used to fill up on wheat just to put on weight. Why? Because wheat is chock full of lectins! Well, plants are smarter than they look. They use certain chemicals to affect almost everyone who eats them. But, how sick you feel after ingesting lectins depends on your gut flora and how ready it is to defend your system against lectins. The flora in your gut make up a living community of tiny organisms in your digestive tract. These organisms are so small, they even reside in insects’ guts. But you can keep your gut flora healthy, if you try. The thing is, everyone has damage in their gut. Everyone. Lectins certainly aren’t the only reason your gut might not be healthy, but they are one of the most present causes. You see, your gut is its own biological community. The microorganisms inside it depend on your gut to be their shelter. And your gut needs those microorganisms to stay healthy. If you allow lectins to break through the walls of the shelter… a harmful cycle starts. The good bacteria can’t get what they need to keep your body digesting food in a healthy way. But you can start to heal your damaged gut right away – and maybe even feel the positive effects within as little as a few weeks. Another way you can help your body as you work on reducing your intake of lectins, is to try a supplement. It can help block the negative effects that lectins have on the digestive system according to these reviews on Lectin Shield. Curious? Watch the man who researches lectins, Dr. Gundry, eat a whole plate of pasta with the help of Lectin Shield on YouTube. Is there pain in my joints? Do I feel fatigued more often than not? Do I have allergic reactions to specific foods? Do I have consistent responses after eating (nausea, headaches, or breaking out in a rash)? Some of these observations can really help you figure out if you’ve got a lectin intolerance. If you think you might, the next step is to cut out lectins! If you eat more protein, and lower your sugar and carb intake, you should experience noticeable benefits. Doctors are working hard to discover as much as they can about lectins and how they affect your health. Lectin-heavy foods are everywhere, but it’s not too soon to start trying to change your habits in order to live a healthier life. Just take a week and try a lectin elimination diet. You might realize it’s easier than you think to make these changes and save your overall health and well-being. You can also take into account what a supplement has to offer, and the Gundry MD website has everything you need to know about Lectin Shield.